You can be helpful to the pal you are chatting with by leaving them some feedback. You can be helpful in two situations. First, when receiving messages from your pal, and second, when sending messages. For now, let's talk about adding feedback to received messages. If you tap next to the chat bubble, you'll notice these two icons. 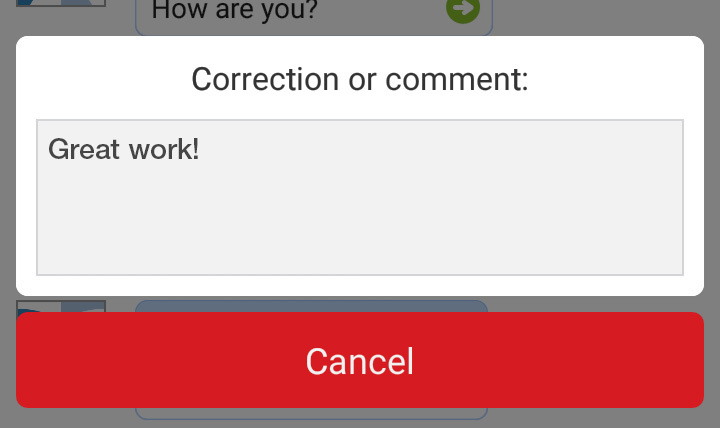 These let you leave feedback directly on the message. Pressing directly on the smiley icon let's you choose from one of these emoticon feedbacks. For this example, let's choose a simple "Smile" emoticon. On your pal's device, it'll look something like this. Great! You have just left your pal an emoticon feedback! This time, let's tap on the comment icon. 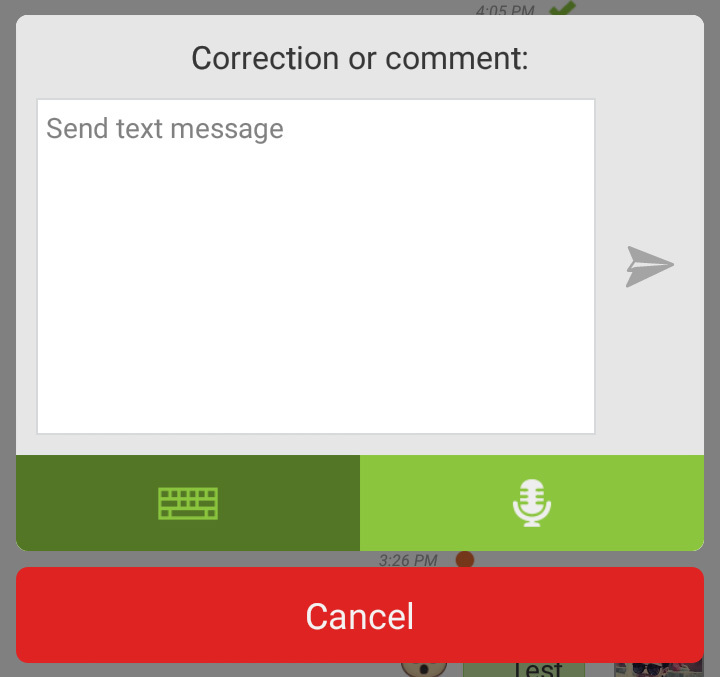 A panel will appear giving you two options: Text or Voice comment. To leave your pal a text comment, tap on the "Keyboard" icon and type in your comment inside the textbox provided. If you're happy with your text, click on the "Send" icon located on the right. Your comment can now be viewed by your pal by tapping on the preview icon (speech bubble with three dots) next to the chat bubble. 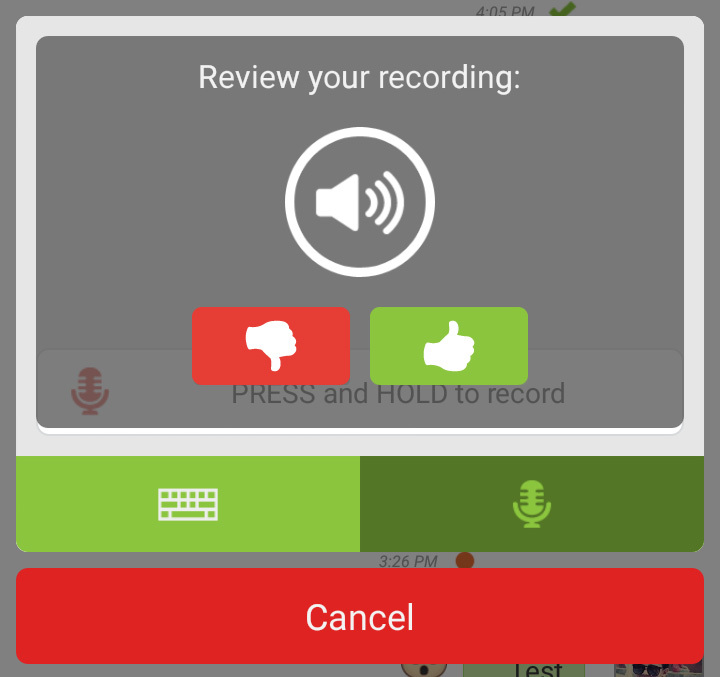 For voice comments, press the "Audio" icon and hold the record button to record and let go when you're done. 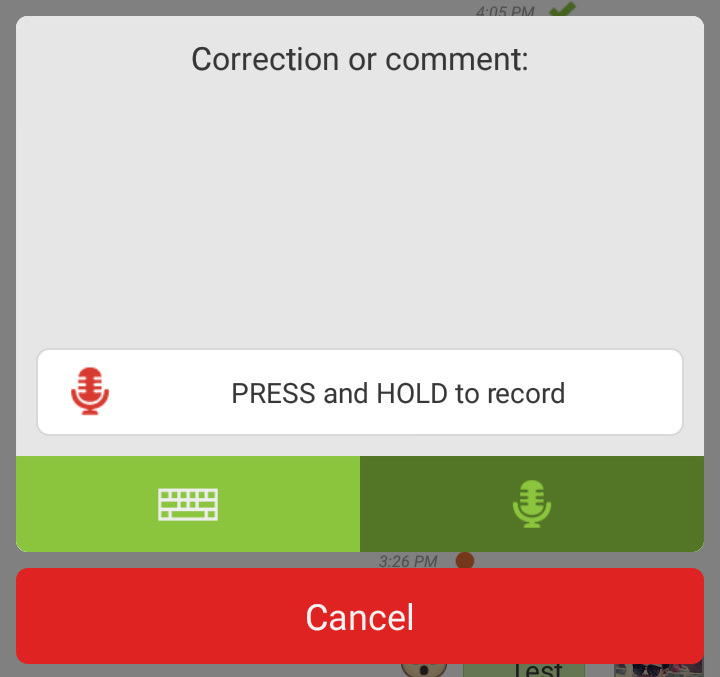 To check your recording, click on the preview button (speech bubble with audio). If you're satisfied with your audio comment, press the thumbs up button to send. To record again, press thumbs down and repeat the process. Your audio feedback is now available to your pal. On your pal's device, to listen to the recording, they should tap on the comment icon. Then press "Play" to listen.